Maybe you read on Facebook that Dollar General Stores were celebrating their anniversary by giving out $150 shopping coupons to those who liked and shared their posts, or maybe you received an email seeking applicants as paid mystery shoppers in your area. Maybe you heard that theaters used subliminal advertising to increase sales of popcorn and soft drinks, or saw a “send old shoes, get a new one free” promotion that caught your attention. Or maybe you read about the discovery that disease can be cured by drinking four glasses of water every morning. The fact that these are all false didn’t stop thousands of people from forwarding, liking, retweeting, repeating, or believing them. One even made it into the top 50 “hottest urban legends” on snopes.com. Likewise, the fact that office grapevines are filled with false information, speculation, innuendo, and gossip doesn’t stop people from using rumor to fuel distrust, reinforce silo building, or enhance “us” versus “them” thinking, either. This workplace ladder fuel can devastate motivation and destroy work cultures as quickly as nature’s fuel of underbrush, branches, leaves, and vegetation can cause a ground fire to scale trees and devour forests. 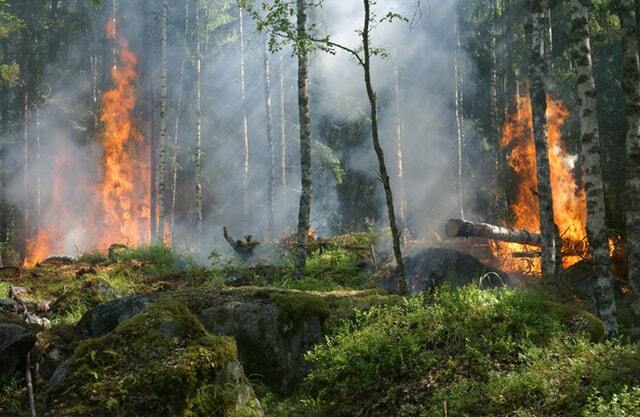 A few years ago a forest fire came within a half-mile of our remote cabin, engulfing 57,000 National forest acres. That close-call memory serves for me as reminder of the Seneca Indian proverb, “Every fire is the same size when it starts.” And when it does start, that’s the time for putting it out. It’s the same at work. Small fires of misinformation, half-truths, or conjecture can turn into big fires of reduced results, high turnover, or retiring on the job. So can small fires of lies, invented stories, or repeated myths. Eliminate them when they start with accurate, timely, and ongoing dialogue. Extinguish them through transparent leadership, candid discussion, and forthcoming acknowledgement of both good and not so good news. And quench those small fires of finger pointing, blaming, and sabotage with increased accountability, big-picture thinking, cooperation, and a foundation of authentic trust. People who are winning at working, who lead winning teams, or who work in winning cultures, understand the need to eliminate workplace ladder fuel. When sparks of doubt or distrust erupt, they address them. They don’t wait for someone else to put them out, but become diligent firefighters themselves. They don’t want to work in an environment fraught with fire potential. People who are winning at working seek the correct information and pass it along. They pick up the phone and ask the question, go to the source, or find the real answer, instead of assuming that what crosses their desk in email, received via text, or is passed along in the lunchroom or via social media is true. Instead of operating with lighted matches in a dry forest, people who are winning at working eliminate the matches of gossip, rumor, and inaccuracies by not passing them along, honestly addressing them, verifying accuracy, and modeling open and elevated communication. Bottom line? If you want to live safely in the forest (or any fire prone area), or be winning at working in a thriving workplace, you must diligently, consistently, and consciously eliminate ladder fuel in your environment. 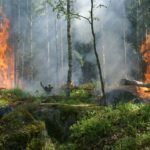 While forest fires kill trees, plants, and animals, workplace fires kill motivation, results, and careers. Want to be winning at working? Help reduce ladder fuel where you work.